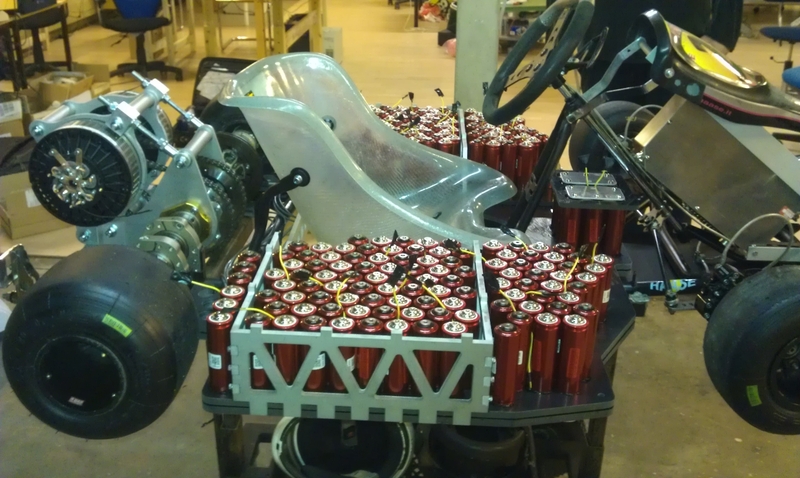 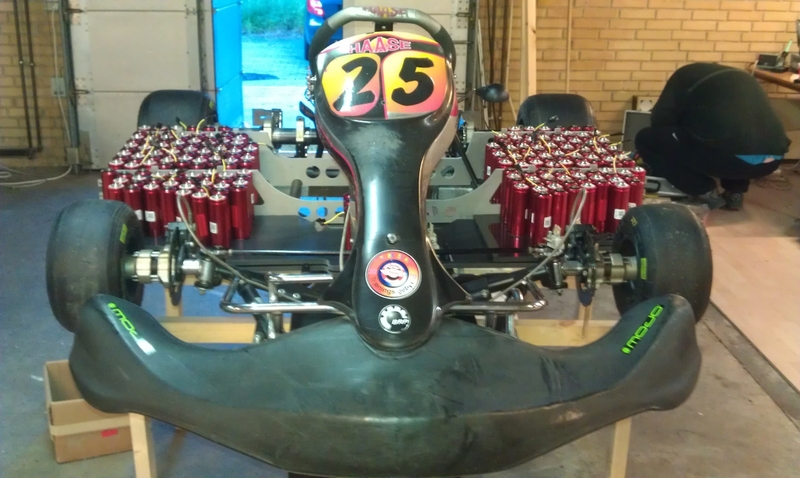 Testing batteries, before putting 228 cells in the new gokart. 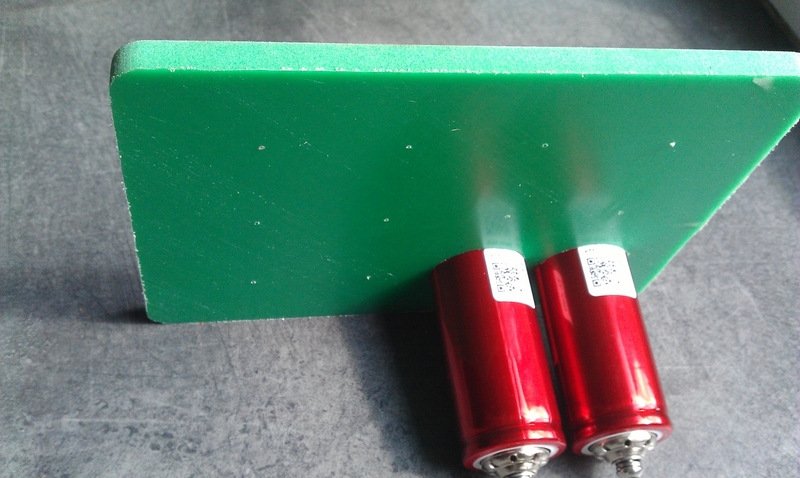 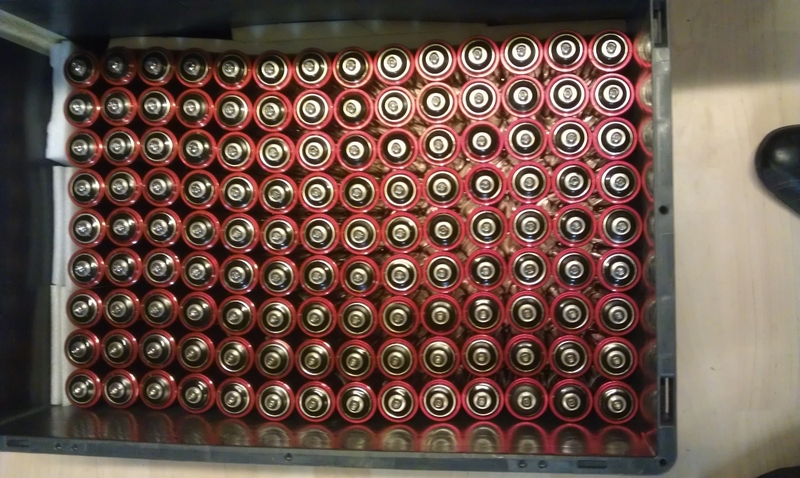 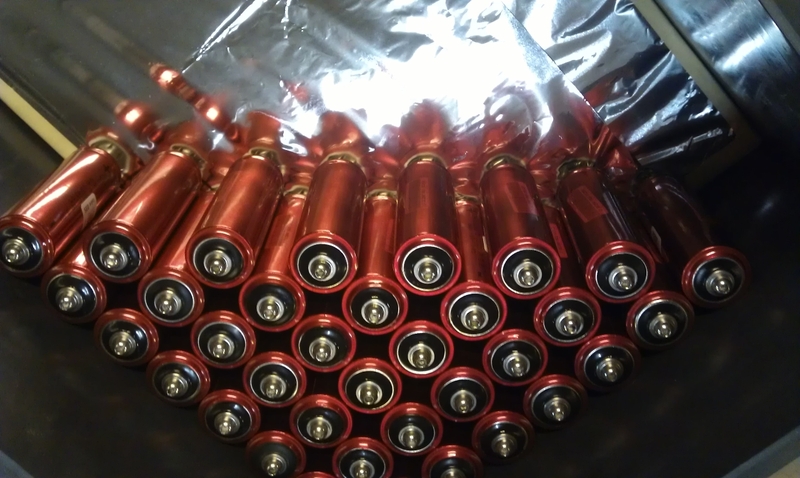 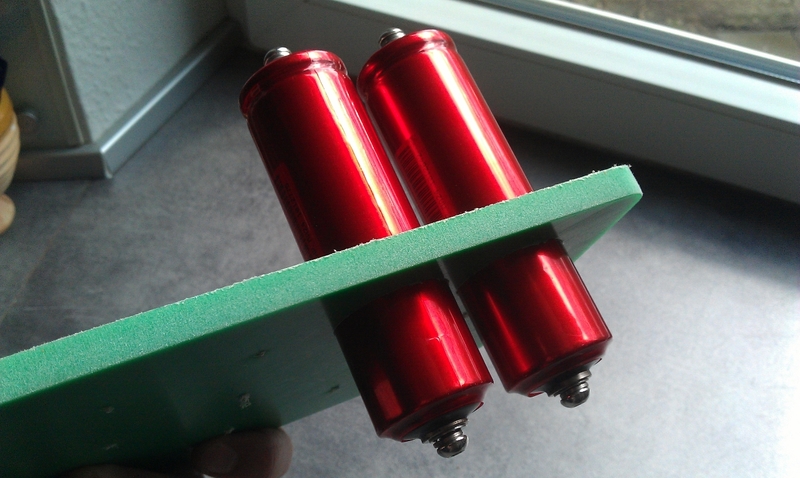 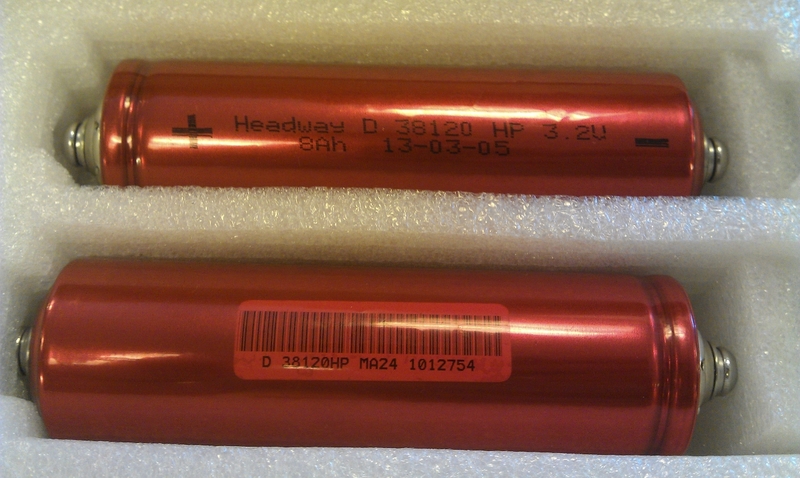 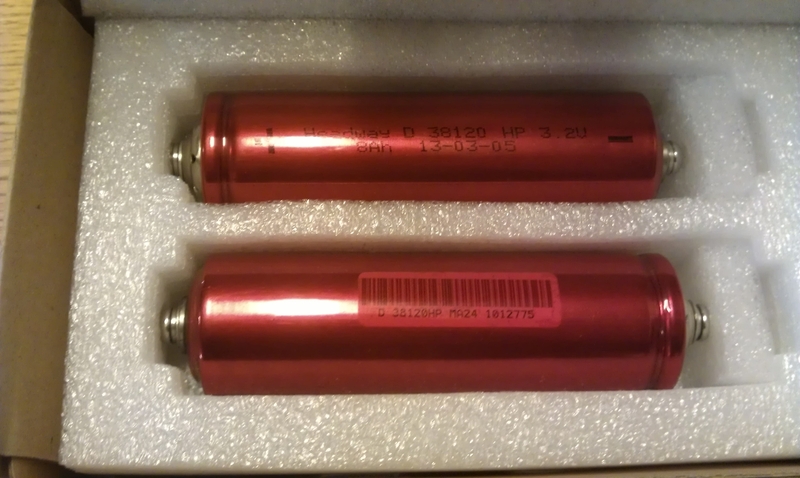 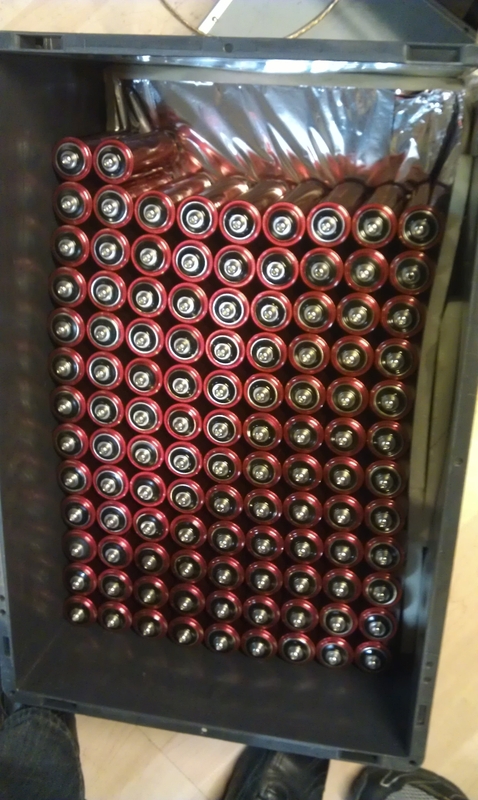 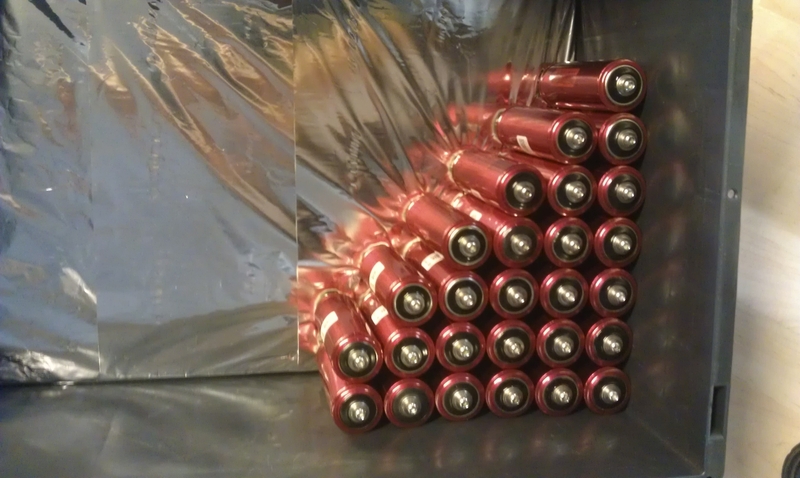 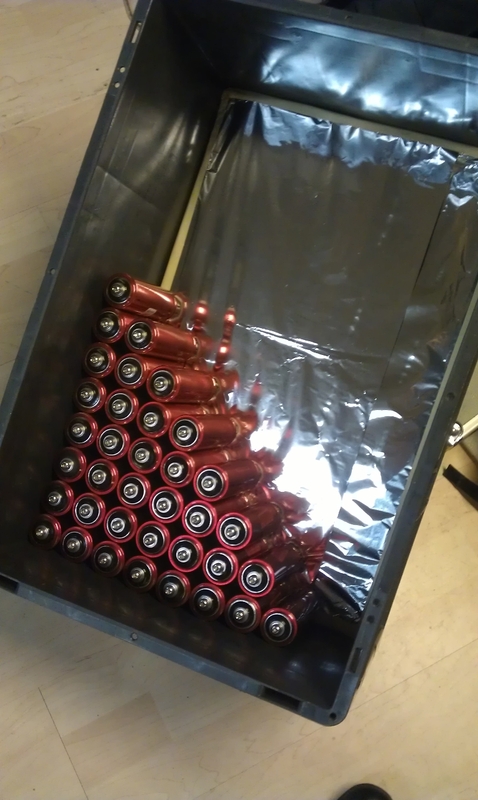 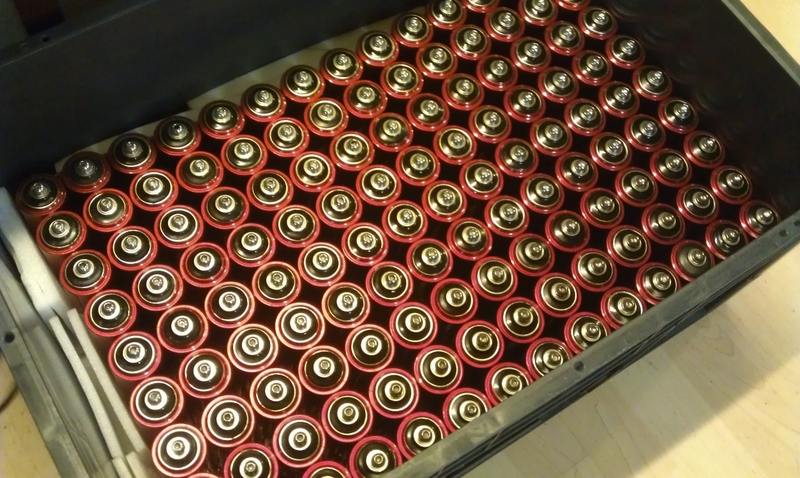 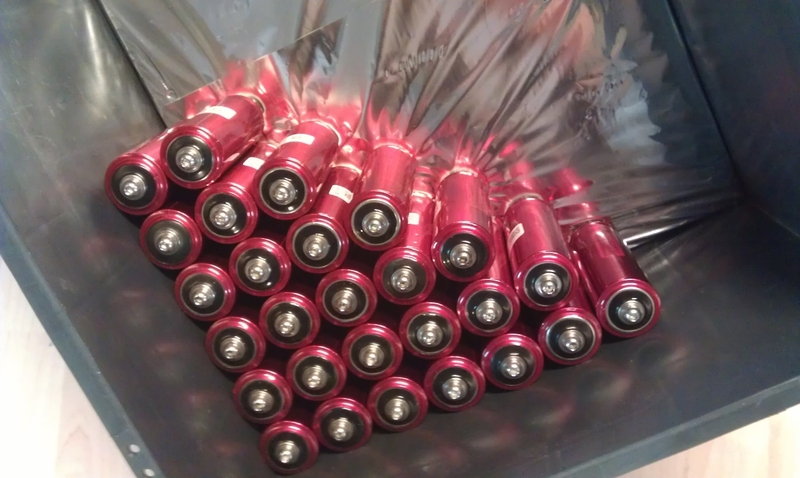 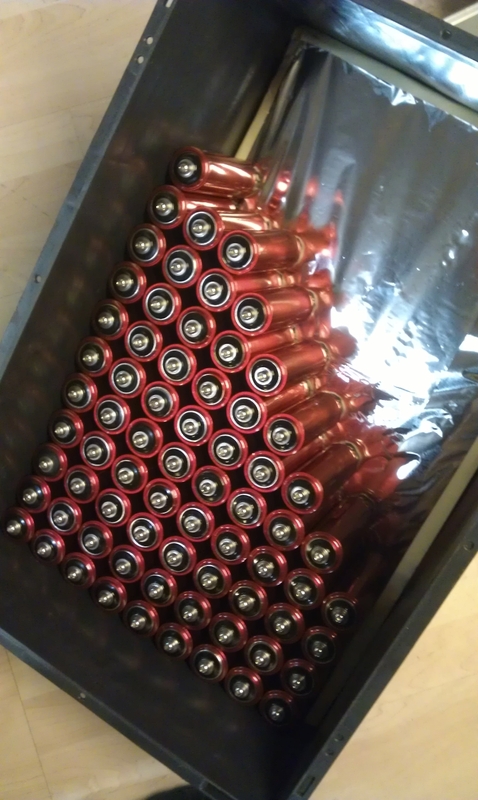 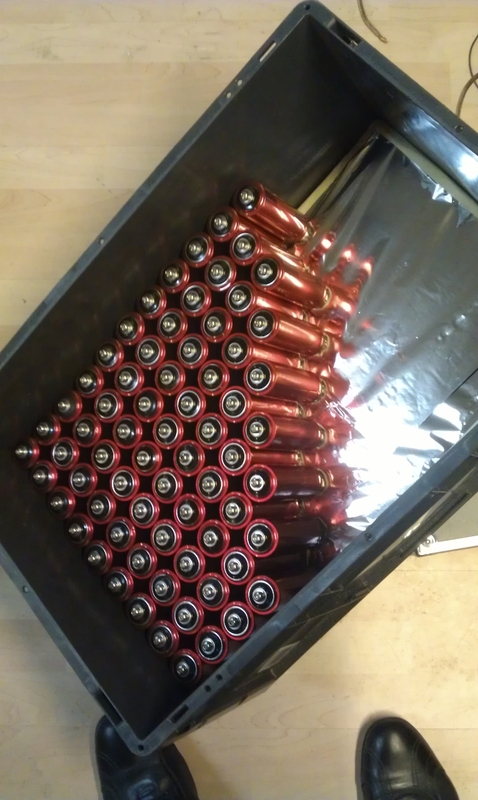 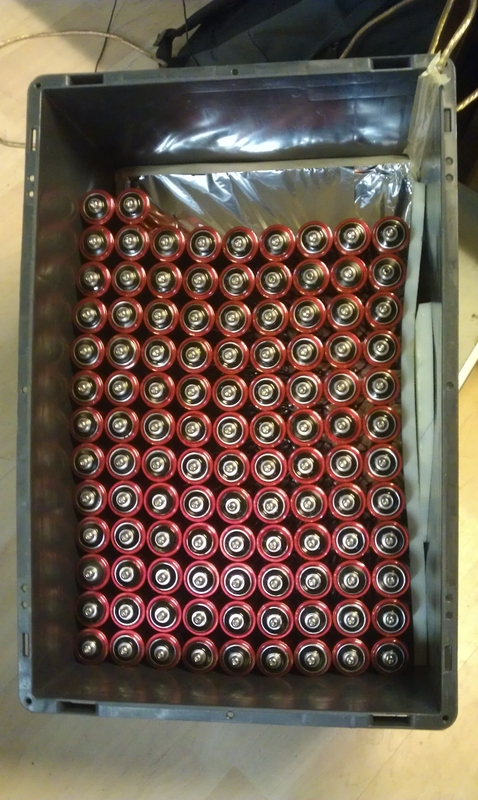 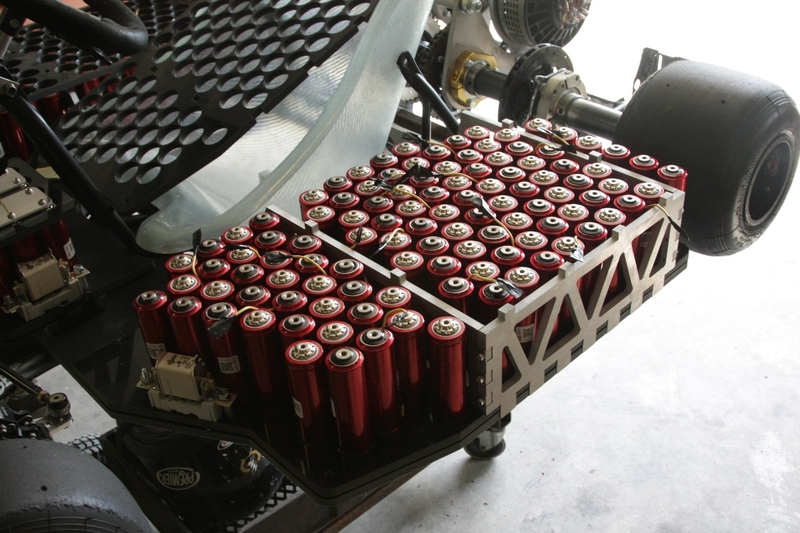 Each battery have to be charged to its max voltage of 3,6V. 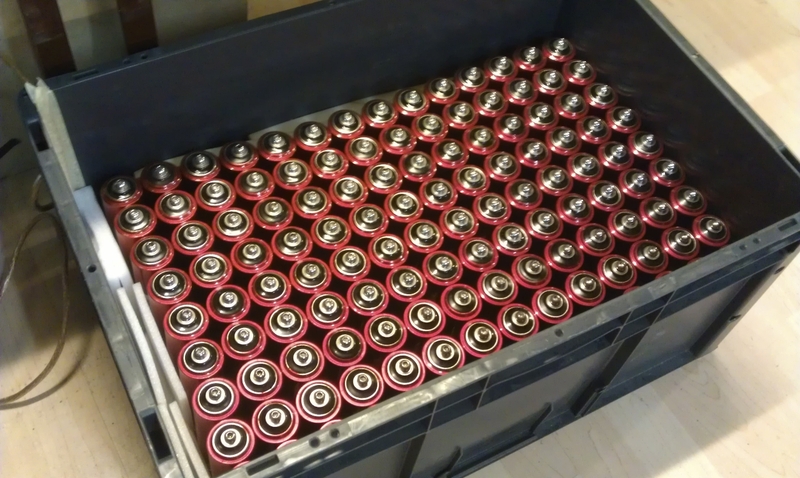 To make sure that the battery is working correctly. 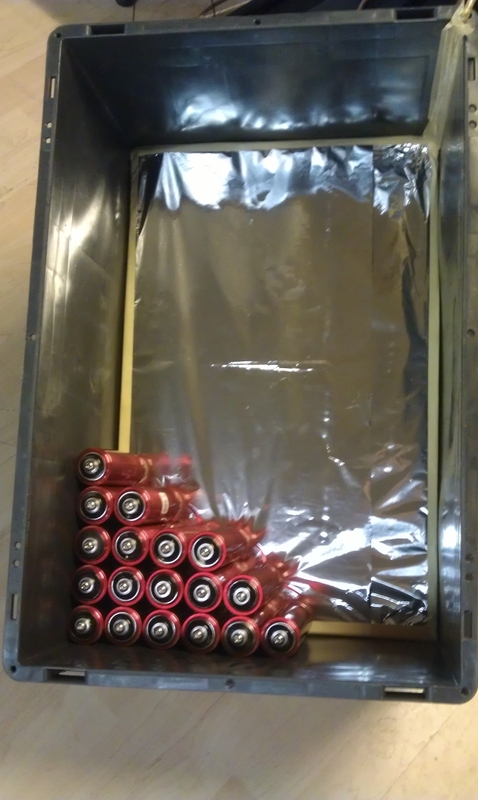 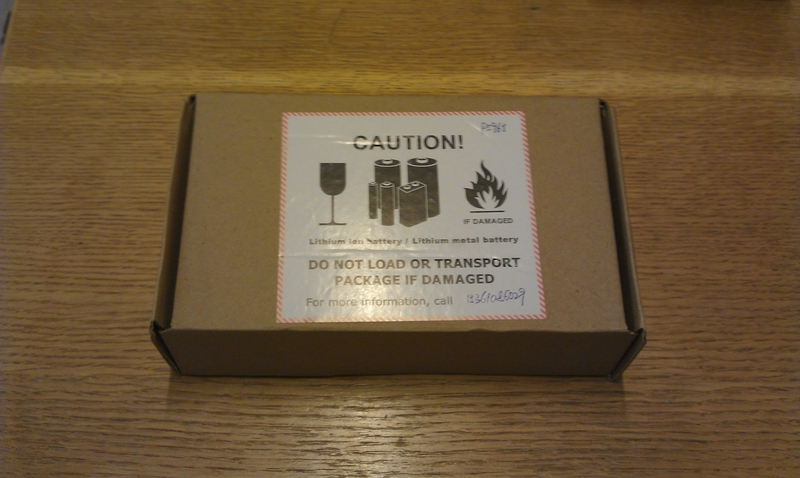 To do that we made a box with aluminium foil in the bottom, placed the batteries with the minus poles down. 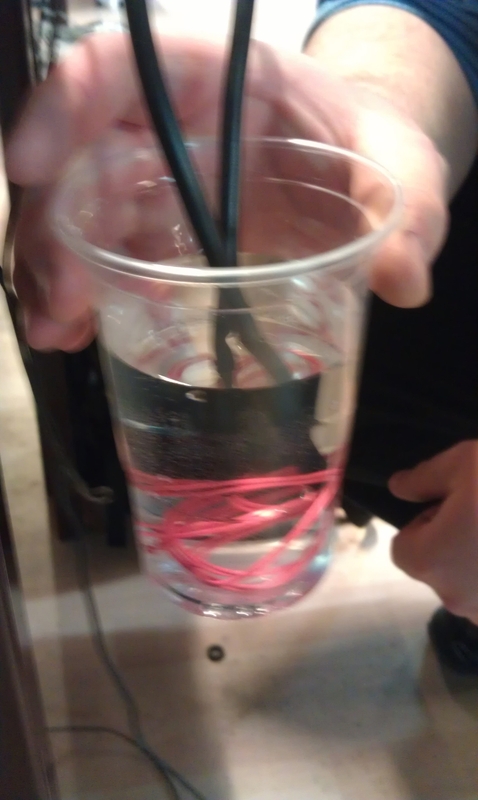 At the top, we made a plate with aluminium foil to connect the plus poles. 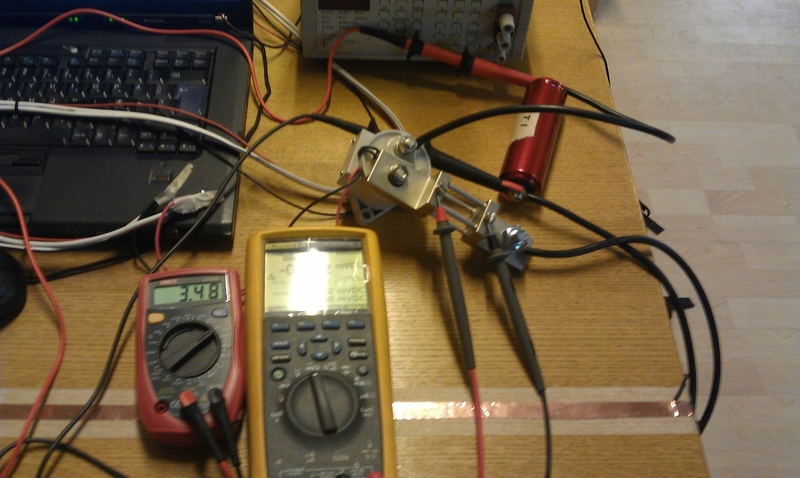 To charge we used to adjustable power supplies, each delivering max 20A at 3,6VDC. 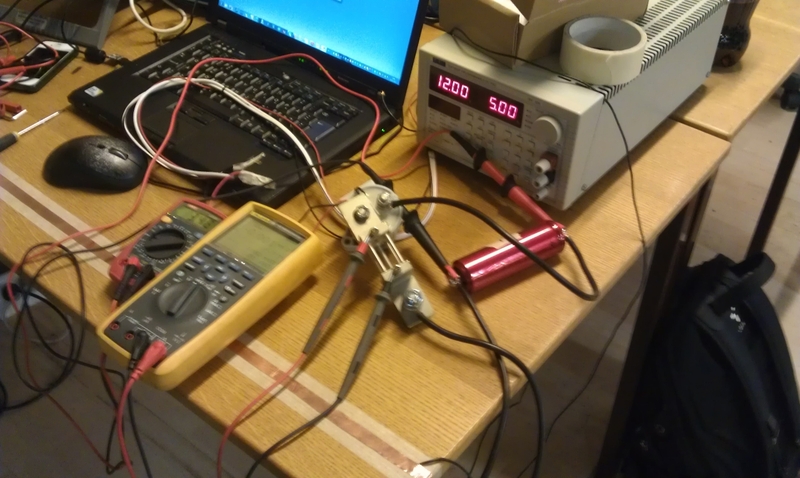 When the batteries is charged, we measured the voltage drop the following weeks, and put the data I a speed sheet. 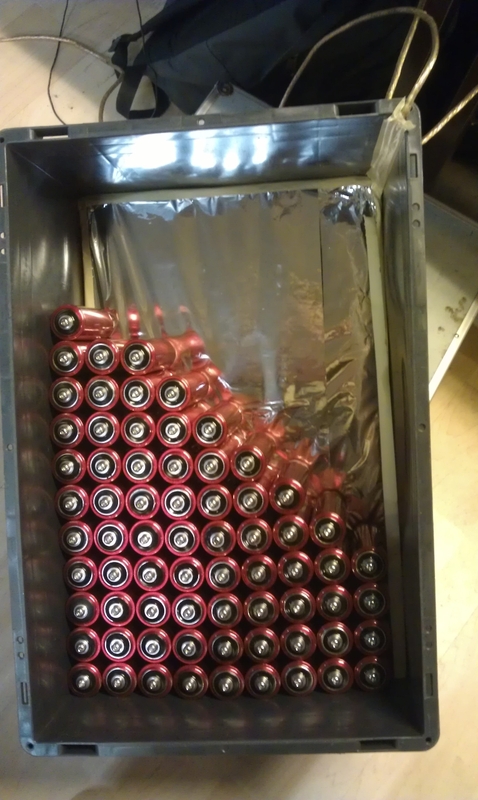 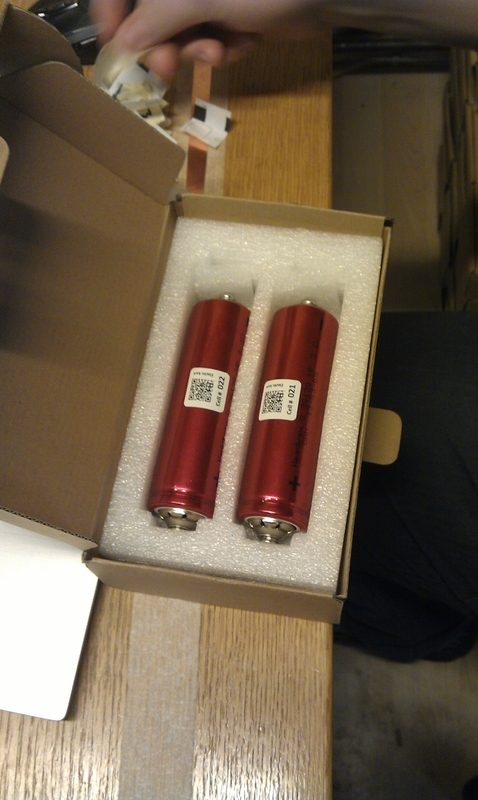 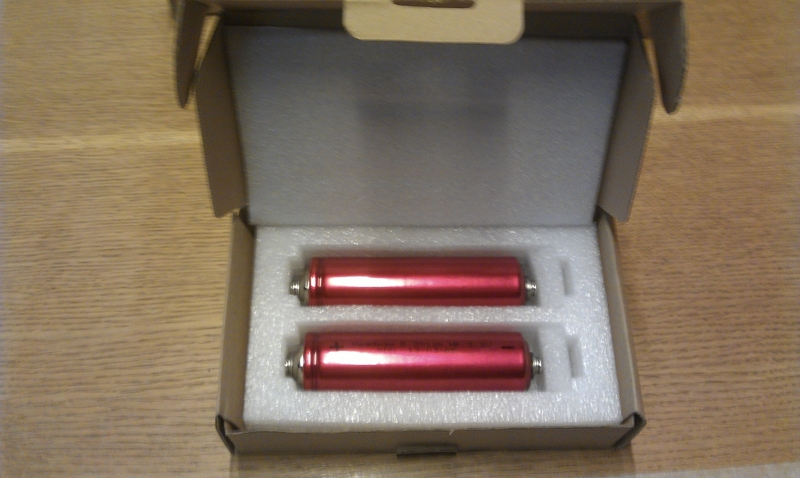 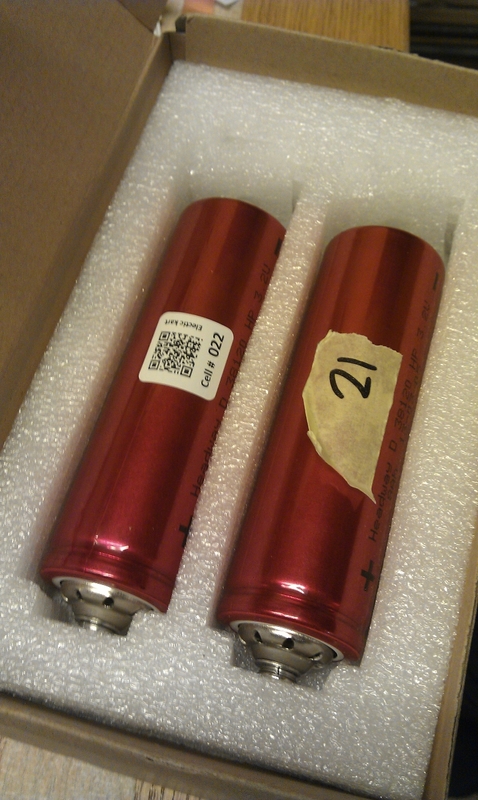 We pared the batteries I groups of three, with the same voltage drop together. 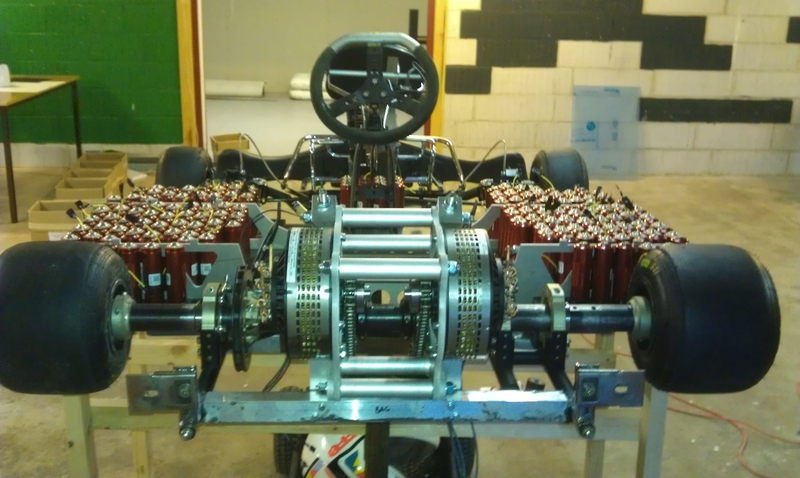 Our final configuration is 76 in series and 3 in parallel. 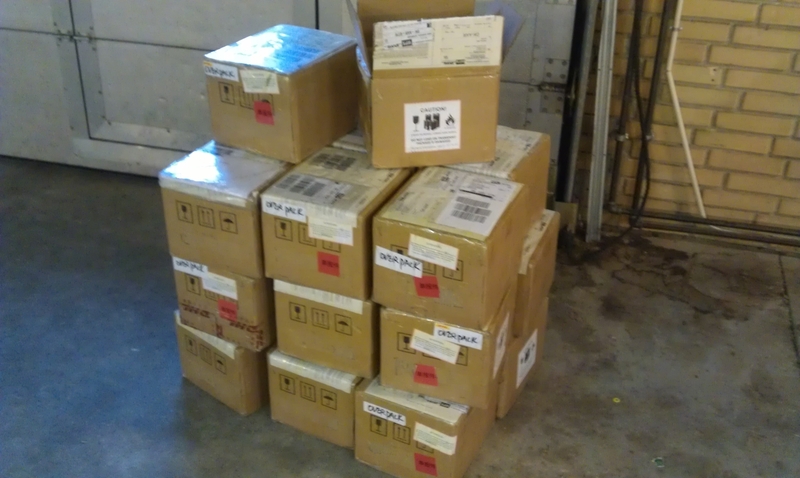 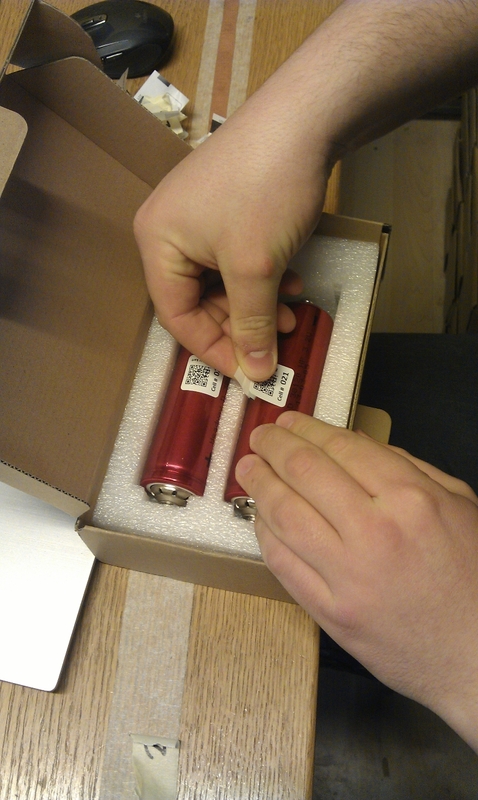 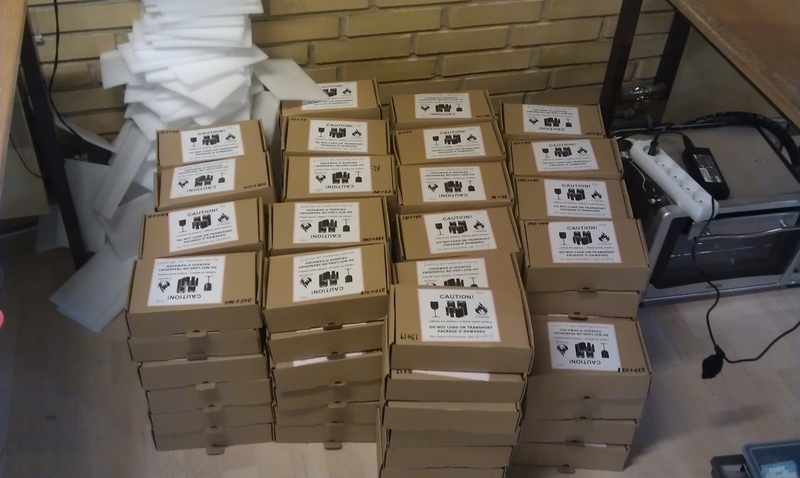 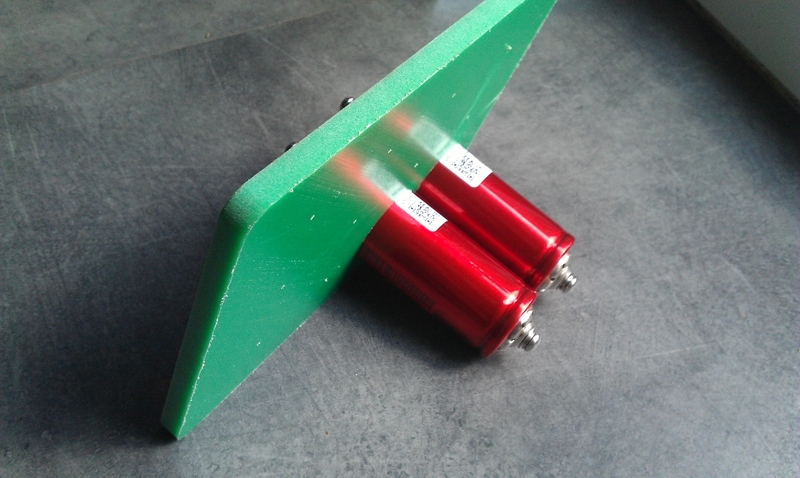 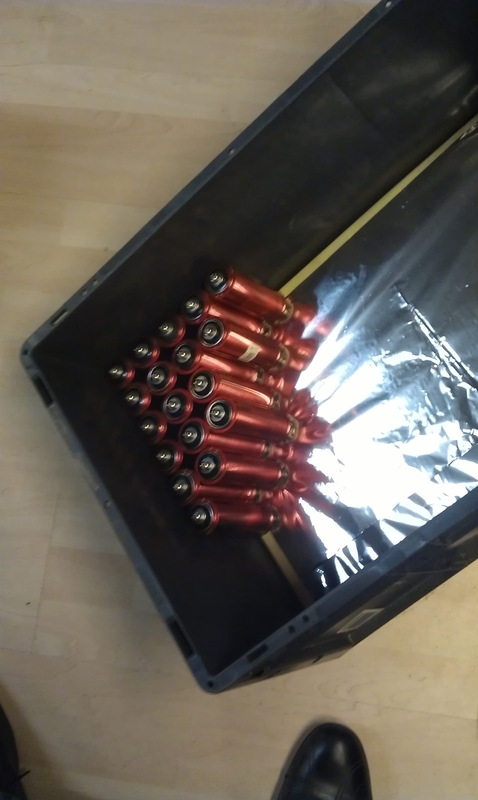 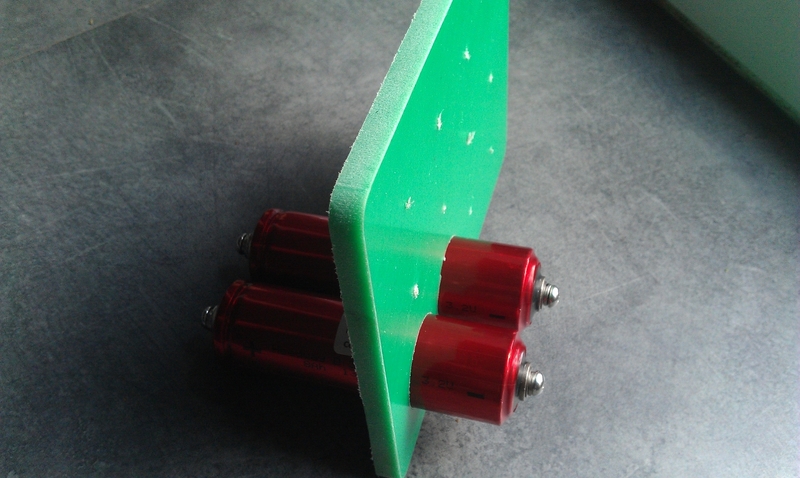 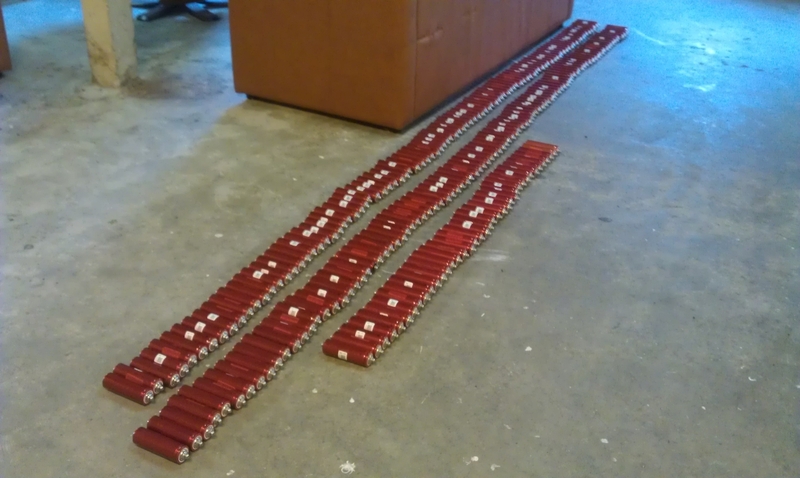 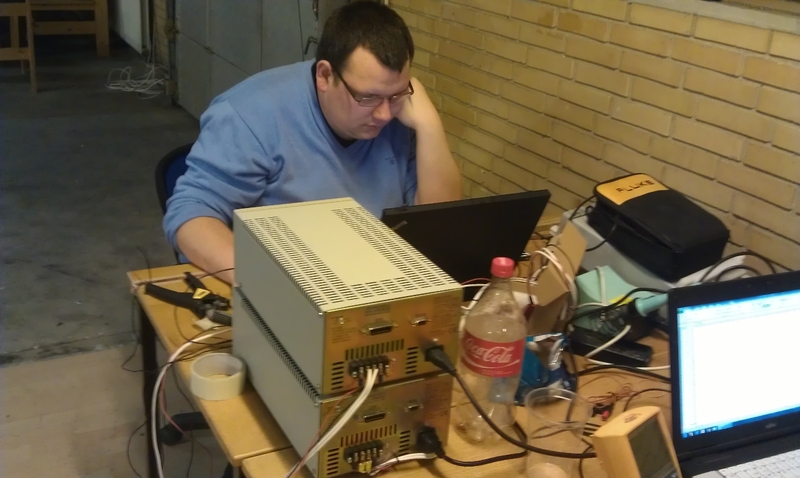 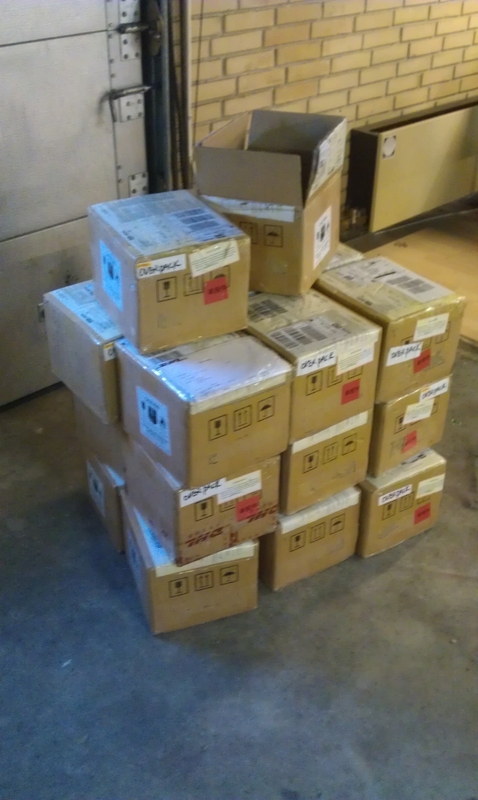 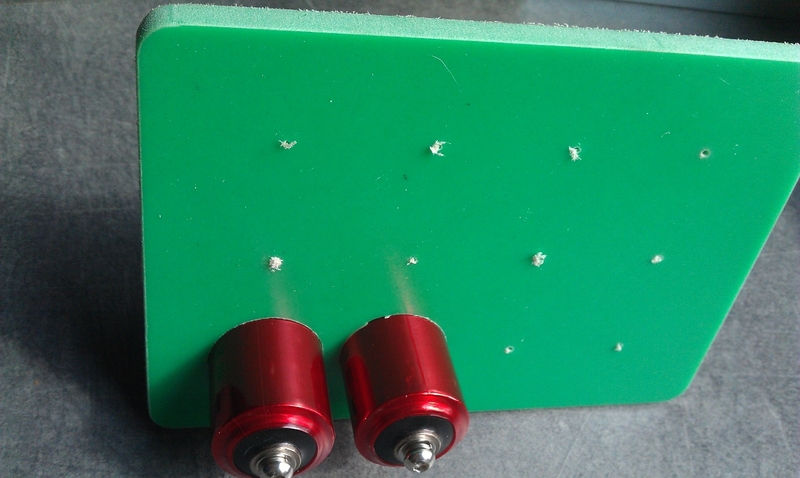 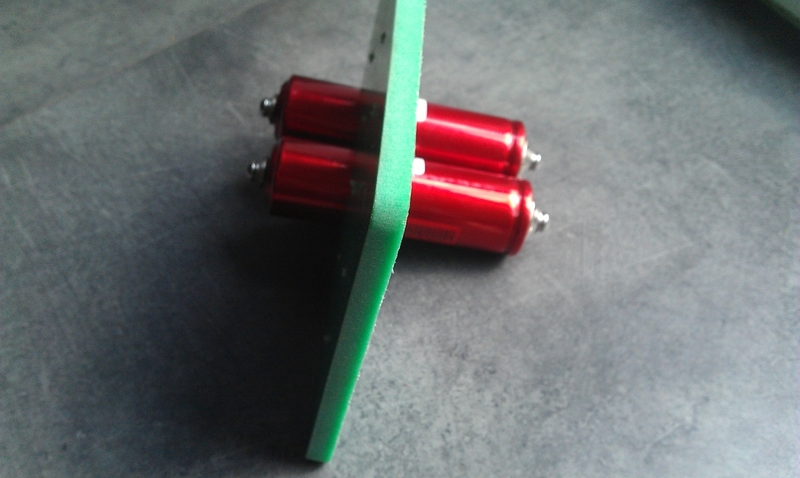 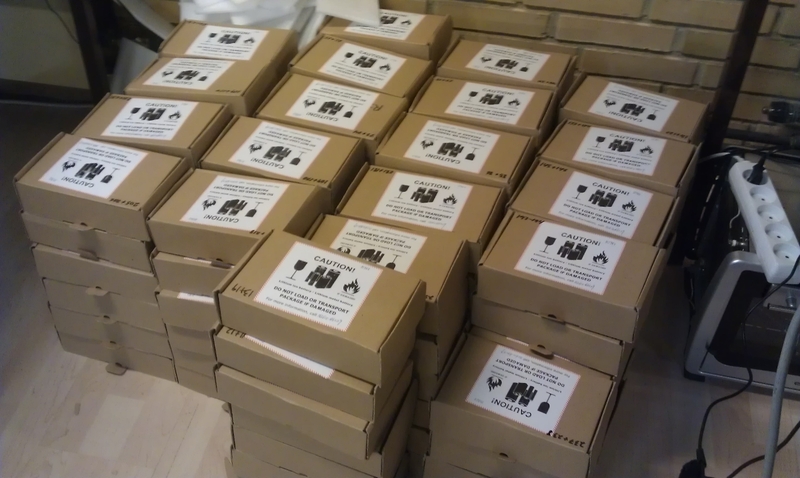 To make sure the resistance of the batteries is good we made a small test. 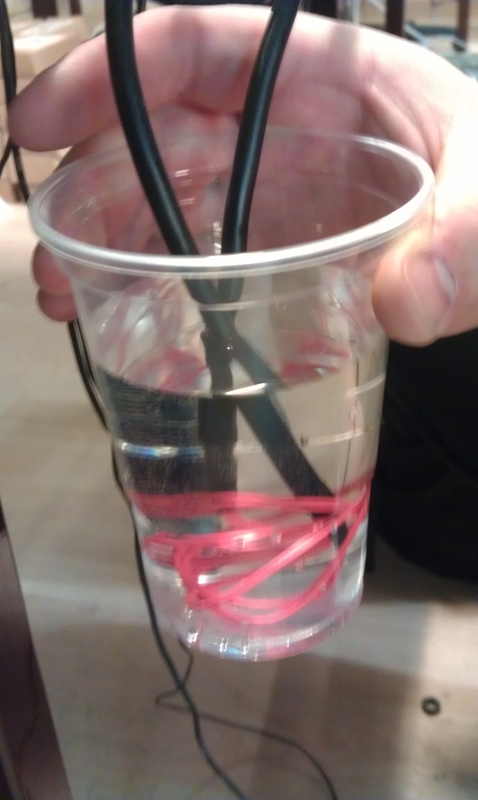 We used a contactor to make the circuit, a shunt to measure the current, large wires the transport the current, thin wires in water to make a heavy duty resistor.